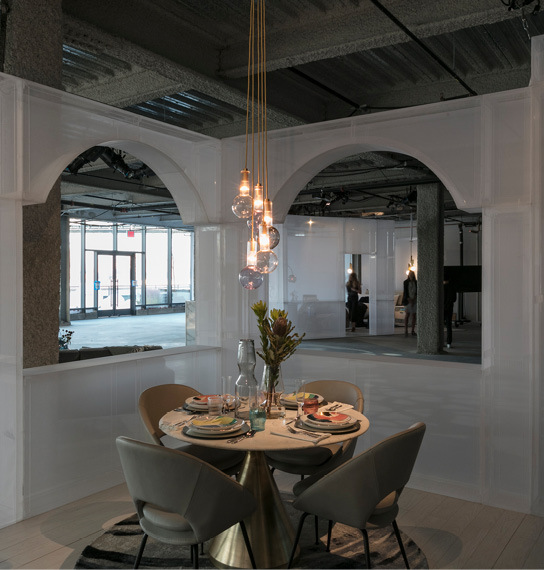 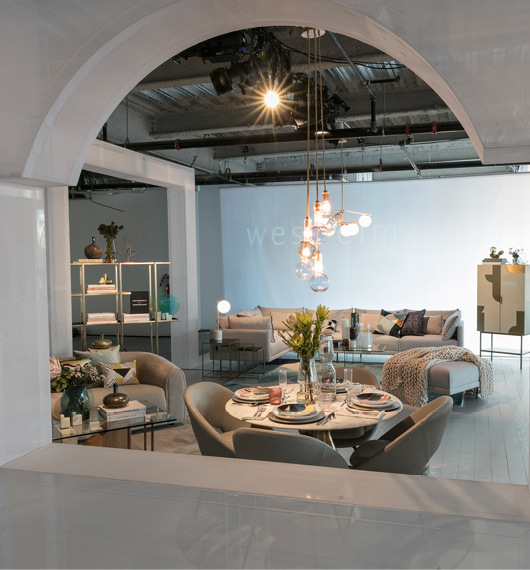 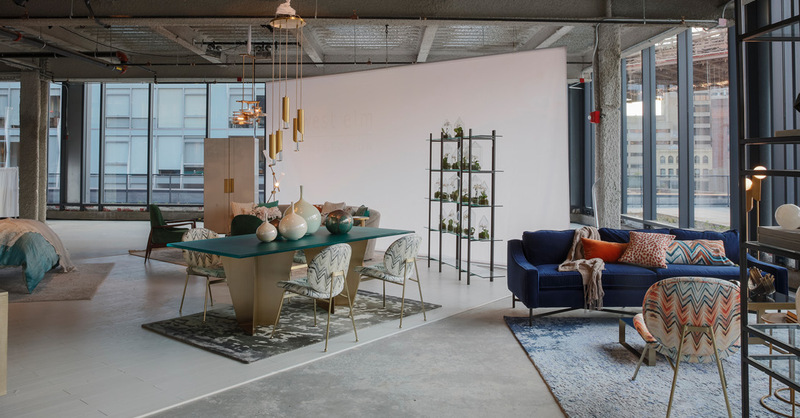 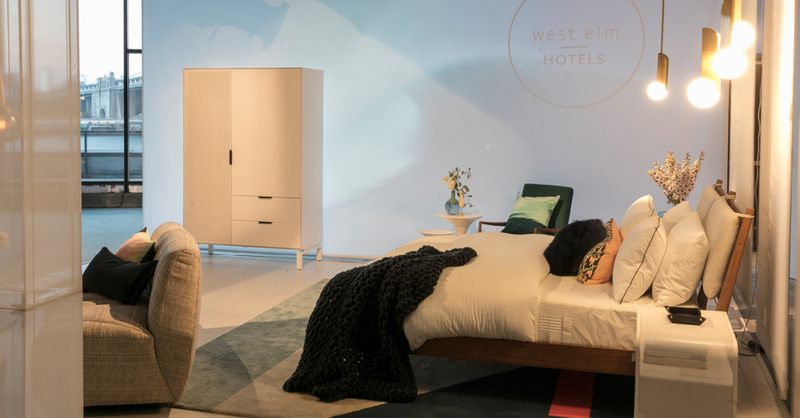 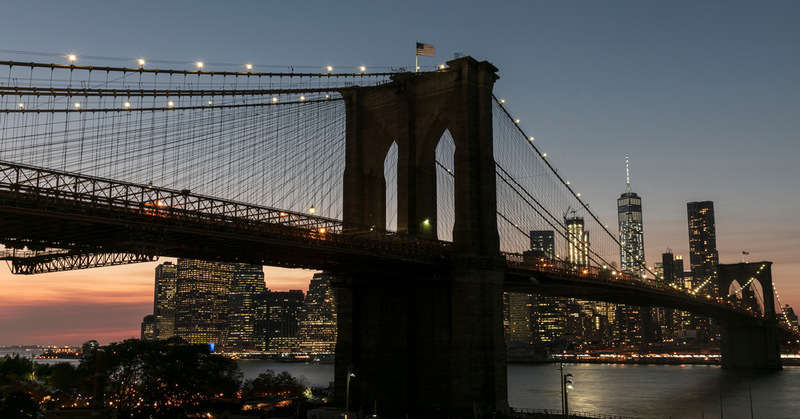 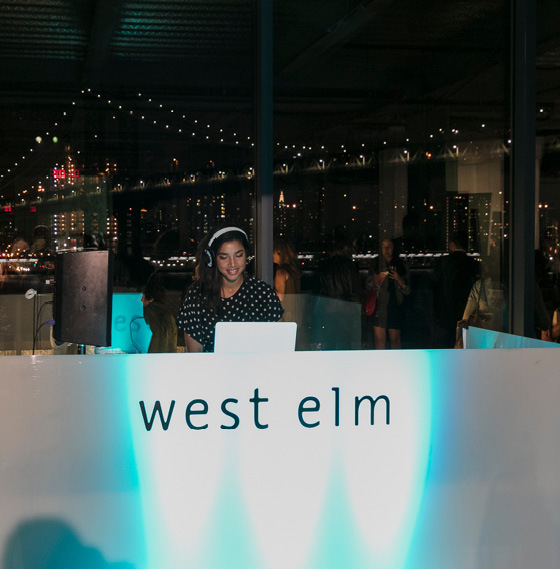 We partnered with West Elm to celebrate the launch of their headquarters at the Empire Stores building in DUMBO, Brooklyn. 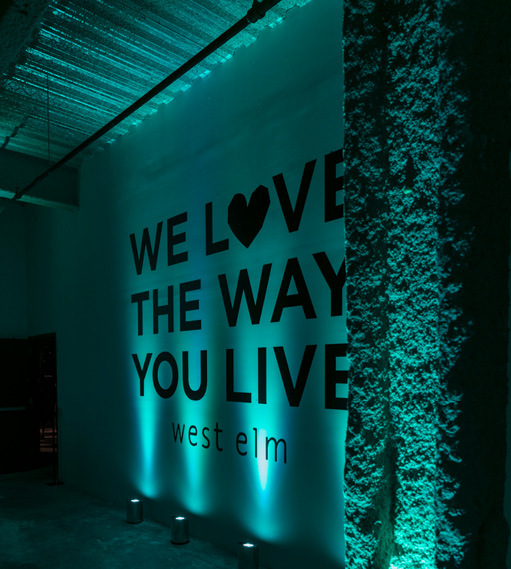 The evening’s guests—West Elm VIP’s, customers, architects and designers—were greeted by an illuminated facade and a branded lobby for a signature welcome. 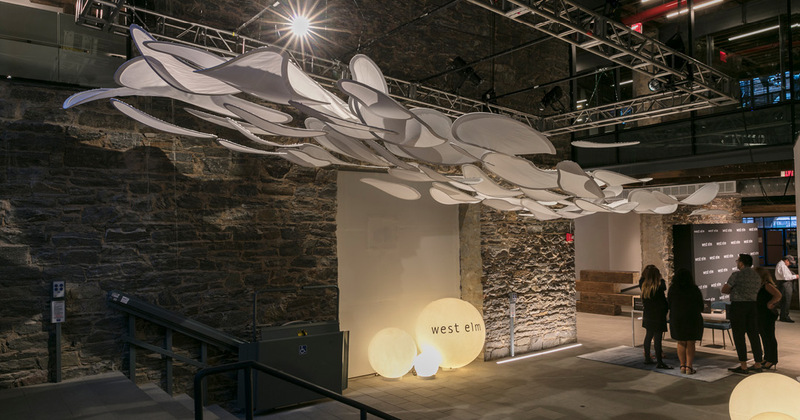 We designed an art installation with a cloud-like appearance that guests walked under in the foyer. 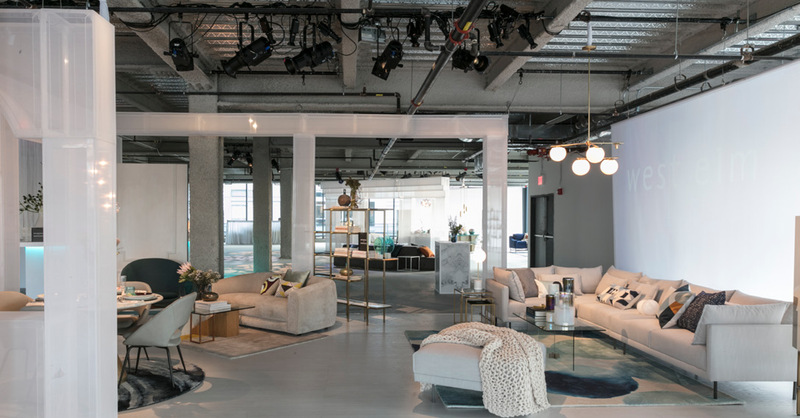 The main room, a raw loft space with floor-to-ceiling windows, featured three semi-permanent environments we custom built to showcase the brand’s new line of boutique hotels and collections of furnishings. 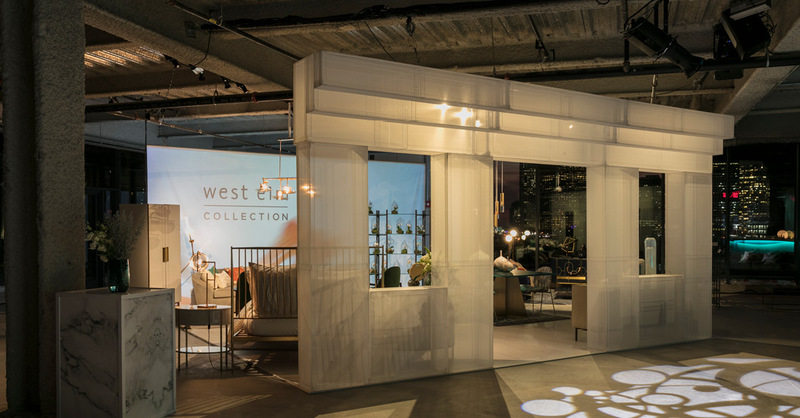 Architectural displays made with a translucent white fabric created modern structures promoting an airy feel. 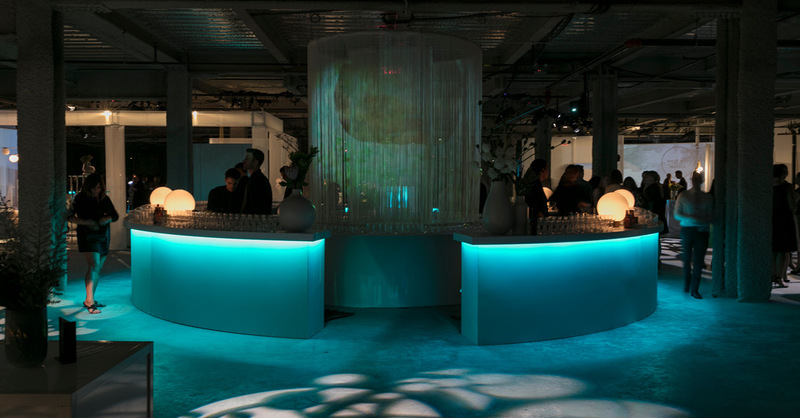 A string curtained chandelier provided a projection surface that served as a striking centerpiece to the circular bar, a focal point for the evening’s experience. 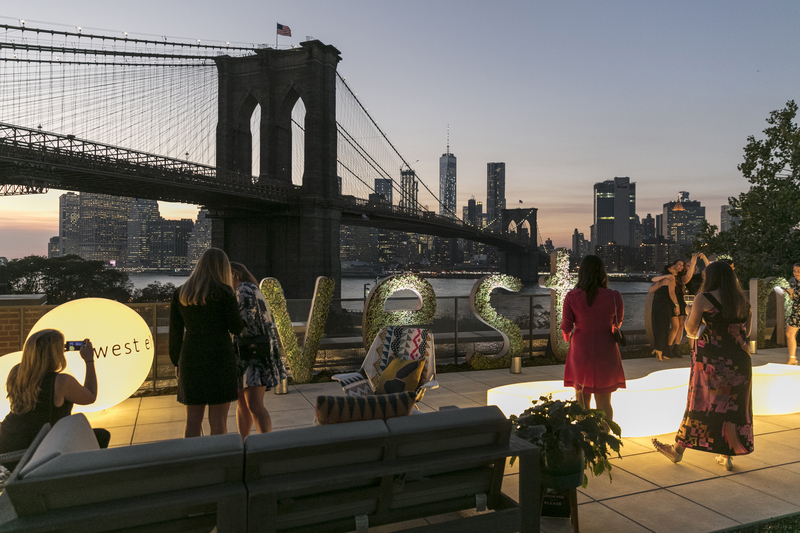 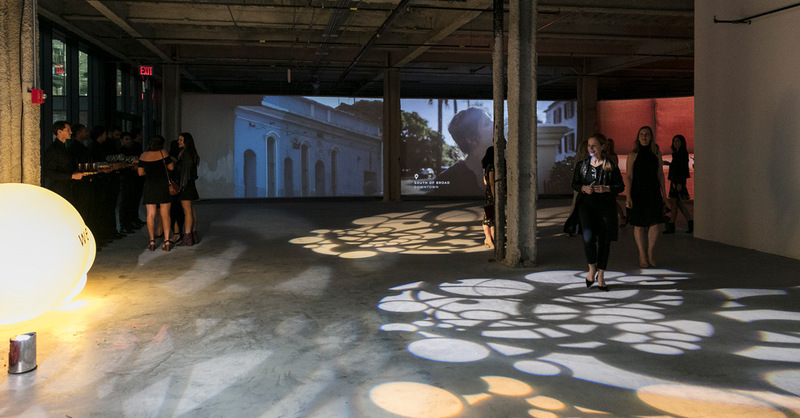 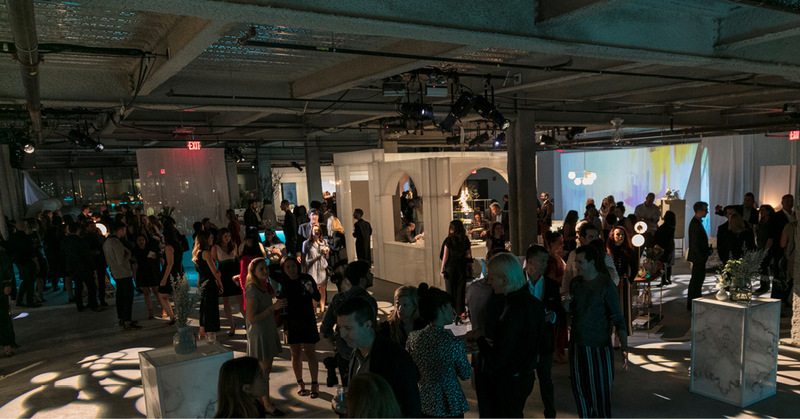 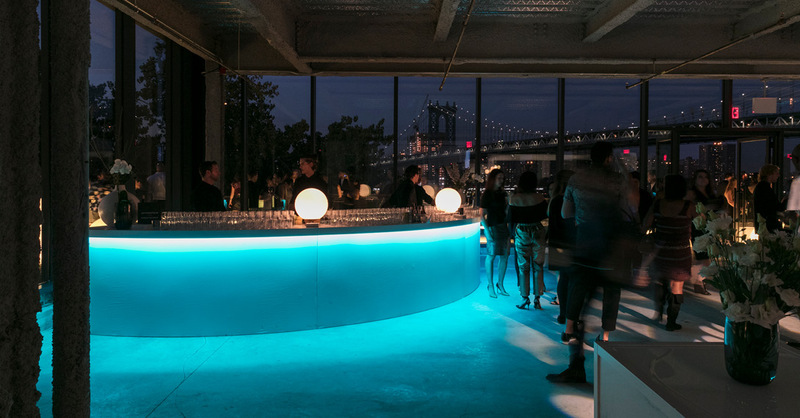 Timed lighting displays set the mood, transitioning the room through sunset into early evening, while rear projections seamlessly integrated West Elm logos and videos, creatively articulating the brand aesthetic.